Rio Anaconda - Zabraniam ci tego czytać! Wiedziałem, że mnie nie posłuchasz. One of the best book in it's genre. Full of fascinating stories described with outstanding style. Delightful (very funny) from the beginning till the end. 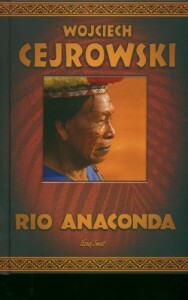 Even if you don’t like Wojciech Cejrowski as a person you will love his book!